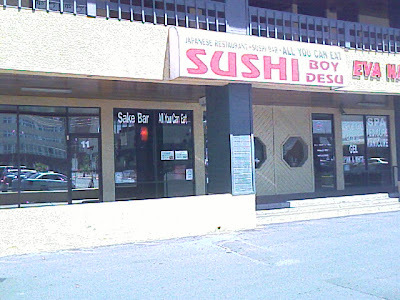 There's a strip mall near my place of work that my friend, Dolly, and I like to go for lunch. She works a little further away so she'll drive by to pick me up for lunch. 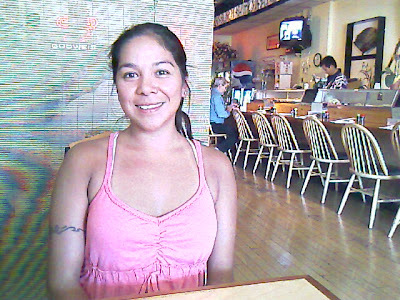 The trek she makes is worth it to have lunch together and for a specialty dish called the whedubop. 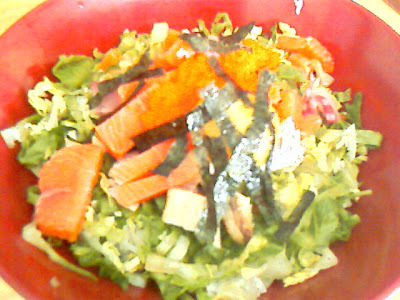 The whedubop is a bowl of rice and sashimi in a nest of shredded romaine lettuce with an egg yolk cracked on top and sprinkles of seaweed garnish. It's very, very good with soy sauce and sirachi hot sauce. On the Friday the 13th, there's no bad luck here. Just a couple of friends enjoying each other's company.